Author Keven McQueen recalls a time when skunk farms, which allegedly produced a cure for rheumatism, were speckled throughout the countryside and a miserable woman tied her husband to a fence post, coated him with salt and intended to let the cows "lick him to death." 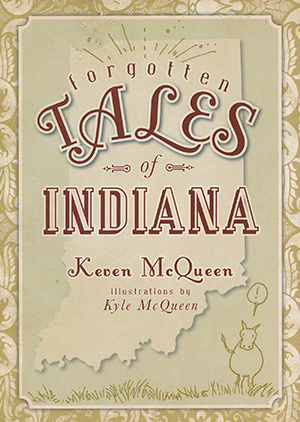 Meet the King of the Ghouls, an accomplished grave robber and notorious murderer, and a man so convinced he was an ox that he often joined neighborhood cattle for a bite of grass, and discover ghosts, monsters, giant skeletons and more in this collection of outlandish tales from the Hoosier State. Keven McQueen is an instructor in the Department of English at Eastern Kentucky University. He is the author of twelve books on biography, history, folklore, ghost lore, natural disasters and historical true crime.